ASTANA – The Almaty 2017 Winter Universiade, running between Jan. 29 and Feb. 8, has been the most successful for Team Kazakhstan in the history of its participation in the world student games. One day short of the finish, Kazakh students have won 34 medals, including 11 gold, 7 silver and 16 bronze and have guaranteed themselves second place in the unofficial team standings. Russia has dominated the games, with 67 medals, of which 27 are gold. South Korean students have also claimed 11 gold medals with five silver and five bronze medals. The Universiade’s inaugural gold for the hosts came from biathlete Alina Raikova who finished first in the individual 15-kilometre race. Another representative of Kazakhstan, Galina Vishnevskaya, won silver in the same race. “I have been struggling throughout this season because of a number of failures and injuries. So, my goal in this race was to win over myself rather than winning the race. I managed to concentrate, to cover the track, shoot well and avoid mistakes. It was hard and I was nervous but I tried to cope with emotions to achieve a good result,” said Raikova. Two days later, it was Vishnevskaya’s turn to climb the top as she triumphed in the 7.5-kilometre sprint race. “I am very glad with my result. It was hard in the beginning though. The race was not going well, and I made quite a lot of mistakes. I erred at the first shooting but tried to improve and not to think about it. So, it worked out in the end. I would like to thank the fans for their support. I can feel it [during a race], and it helps to achieve good results. There are many important competitions ahead – the World Cup, the Asian Winter Games, so I will continue training to further enhance my performance,” the champion said. On Feb. 7, Vishnevskaya added one more gold medal to her collection as she finished first in the 12.5-kilometre mass start. Also, the Kazakh team earned silver in 4*6-kilometre + 4*7.5-kilometre mixed relay, while in the men’s 10-kilometre sprint Roman Yeremin won silver and bronze in the 10-kilometre and 15-kilometre, with Anton Pantov adding one more bronze in the latter race. However, it was the Kazakh freestylers’ team who delivered the most impressive performance in front of the home crowd. They secured almost half, namely five, of the total of 11 gold medals claimed by Kazakh students at the games so far. Dmitry Reiherd and Yulia Galysheva brought Team Kazakhstan two gold medals each. The two won in the men’s and women’s individual and dual moguls respectively while duo Zhanbota Aldabergenova and Baglan Inkarbek claimed gold in mixed team aerials. 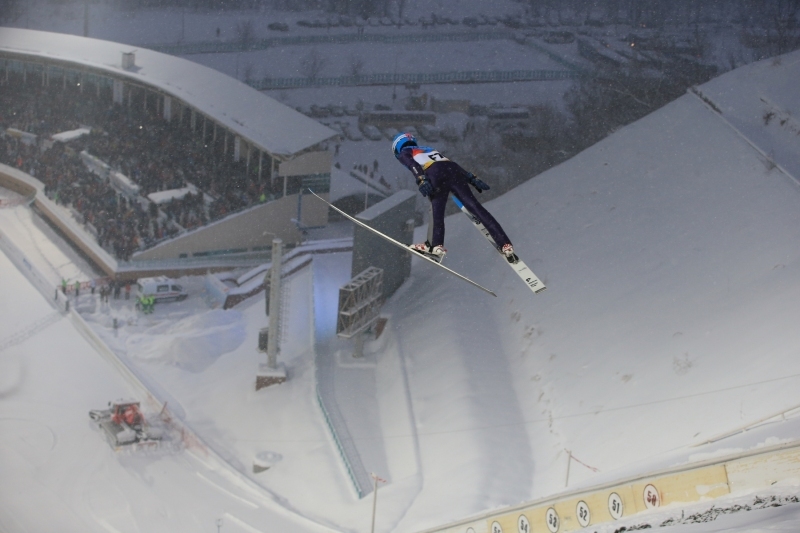 In individual ski aerials Zhibek Arapbayeva won silver and Aldabergenova grabbed bronze. Pavel Kolmakov climbed the podium along with Reiherd in the men’s individual moguls, claiming bronze. “The Shymbulak track meets all international standards and is very challenging. There was a strong competition today but (I am glad that) we managed to show a good result. 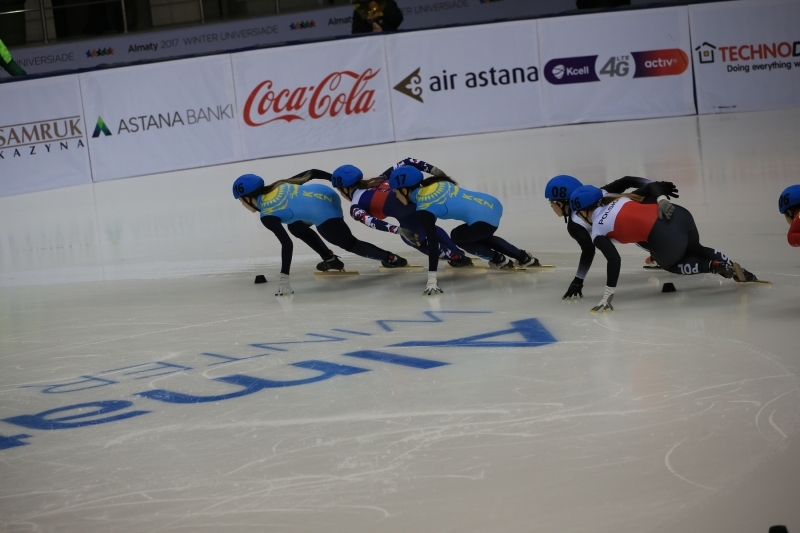 Ahead of the Universiade, we trained really hard, participated in (a number of) World Cup events, and came to Almaty at the peak of our form. Today, we proved to everyone we can win (such contests),” Reiherd said following the first of his victories. According to Galysheva, who two years earlier also won moguls at the Universiade in Spain, as the defending champion, she felt a special responsibility to perform well in front of so many of her compatriots. “I feel great! Winning at home means a lot to me. I am happy the Universiade is being held in Kazakhstan so I was aiming for nothing less than the top position. Of course, I wanted very much to defend my title and I am glad it happened,” Galysheva said at a press conference. Kazakhstan’s cross-country skiers also performed well. 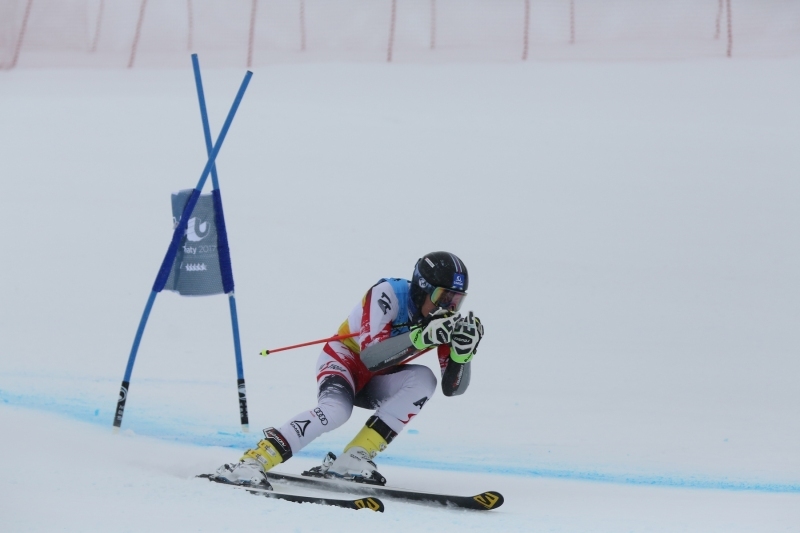 Ivan Luft won in the men’s ski sprint while Anna Stoyan came third in women’s race. Three days later, Anna Shevchenko and Olzhas Klimin claimed gold in Mixed Team Sprint. Both women’s and men’s team won silver in relays, 3.5-kilometre and 4.7.5 respectively. Shevchenko also won two individual bronzes in two 5-kilometre races, individual and pursuit. On Feb. 4, the first place in men’s figure skating went to the home crowd’s favourite Denis Ten. In short programme, he presented a completely new programme to the theme of William Shakespeare’s “Romeo and Juliet.” The 2014 Sochi Olympics bronze medallist eventually claimed gold in Almaty with 266.97 points. Silver went to a strong Japanese skater Keiji Tanaka (252.09), and bronze to Alexander Mayorov from Sweden (246.56). “Now, when the figure skating competition of 2017 Universiade is over, once again, I want to thank those who made this competition so spectacular, so high-level. 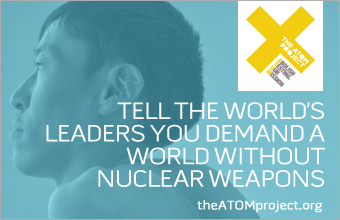 It was a great honour to take part in it. I debuted on the ice in Almaty. I have achieved my goal and am now at a new stage in my development (as a sportsman). I cannot stop now. I need to grow from start to start to be ready for the 2018 Olympics. I am 23, but I still learn something new each time. Figure skating is developing and so am I. I had to take certain measures to cope with some challenges. What I showed on the ice today is a bit different from what I have showed before,” said Denis Ten at a press conference. In speed skating, Yekaterina Aidova twice won bronze medals in women’s 1,000-metre and 1,500-metre races. Short track skaters brought quite a few medals to the national student team’s tally as well. Nurbergen Zhumagaziyev came in third in the 1.500-metre race. The young athlete from Uralsk won the World Cup stage this season before this achievement at the student games. His teammates Abzal Azhgaliyev and Denis Nikisha won silver and bronze in the 500-metre race. Nikisha also won bronze on Feb. 7 in the 1,000-metre. Relay teams placed third in 3,000-metre race for women and 5,000-metre race for men. On the last day of the world student games, the 30-kilometre mass start for men in cross-country skiing promises a medal to Kazakhstan as well. Also, the third-place match and the final of the ice hockey tournament among men will be contested. Team Kazakhstan was playing Czech Republic in a semi-final at press time. The closing ceremony is scheduled for 7 p.m. Overall, with the record individual medal count, the historically highest place in team rankings and some spectacular performances in front of the home crowd, the Winter Universiade 2017 in Almaty can be marked a big success for Kazakhstan’s student athletes. Kazakh fans hope to see similarly successful results from the national team at the Asian Winter Games beginning Feb. 19 in Sapporo, Japan. It is hoped the Winter Universiade has served as an inspiration to aspiring young Kazakh athletes who have had the opportunity to witness historic feats of athleticism.